Fresh out of the big city music booth. New Metasonix stuff: kv100 Assblaster multieffect system, R51 vacuum tube VCA/distortion, R52 vacuum tube multimode filter, R53 vacuum tube waveshaper-ringmod. Those last three are eurorack modules in yellow, sans the crazy toons, the kv100 is as raunchy as the name implies. Toss your bits and tickle your nyquist. 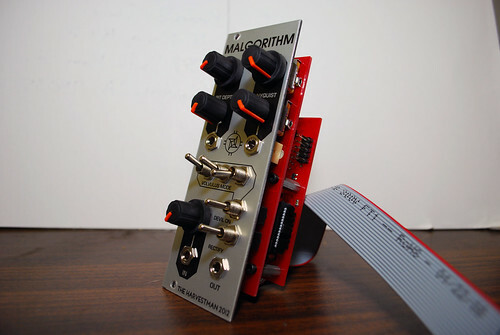 I hung out with the Harvestman last night in a bit of pre-NAMM socializing as he drove through the area on his way down to southern California, and I ended up taking home a Malgorithm. (6108 on the main floor) and at Motu (Mark of the Unicorn). See you there! frequency shifting, FM and standard three in line ops. which add dynamic control of the M30’s eight main VC Inputs. Ringers at one time. We thank Chris Pitman of Guns N’ Roses for the name. 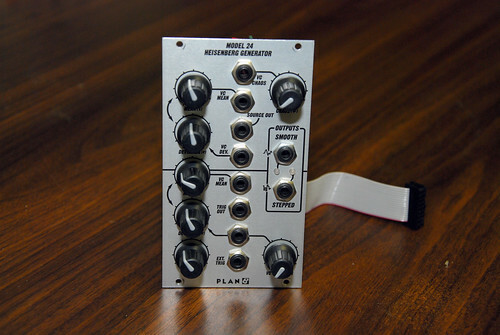 output and Model 21C Mini Milton VC Sequencer. Peter, you’re such a tease. Both Plan B and Buchla will be at the Noisebug booth 6108 which is on the main hall this year in the vicinity of Moog and Motu. Sometime this week I will be posting further details on what we’ll be showing on the Plan B Analog Blog (go to www.ear-group.net to sign up. On the module end will be the models 21C Mini Milton VC Sequencer, the Model 32 Vector Plotter and the M30 and 30A – two components of the mighty Triple Digital VCO Subsystem. There are four other products being introduced which are part of the big move into cases and systems. 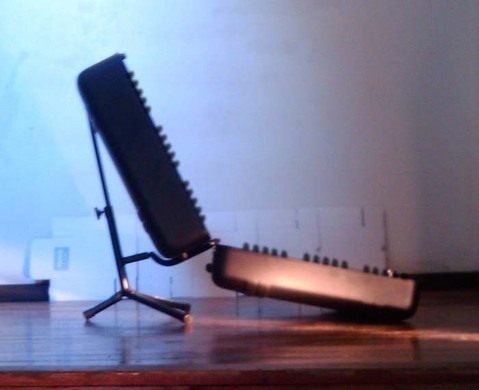 : The he Ringer, a single row rack frame offering a low-cost solution to a previously expensive expansion requirement, and the Model Zero, which is the same three row Zero Halibuton case used by NIN with some significant improvements, including power saving modes, top/bottom strip modules and the option of expanding to six rows. A photo has been posted in the PB Analog Blog. 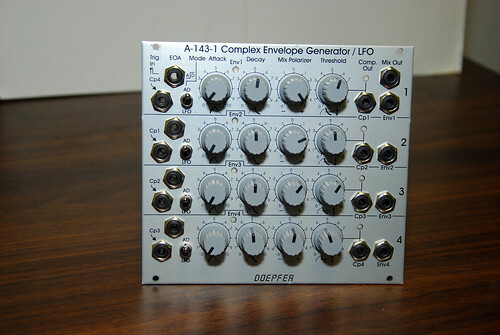 The Performance System, which has it’s own case not unlike the Doepfer portable although two rows of 102 HP and eight inches deep is our fist venture into the systems arena and will also be on display and operational. protected to the point that key’d power connectors on the bus will not be required…the PSU will shut itself off instantly if a module is installed incorrectly. 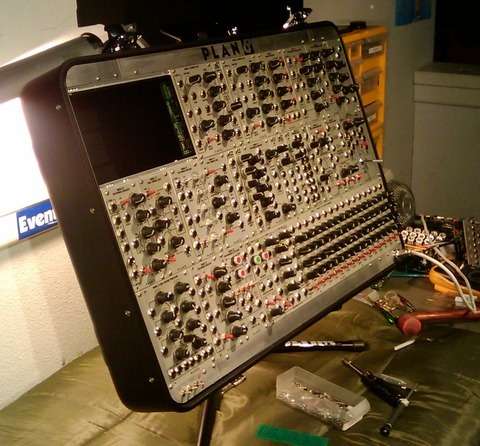 Along with Noisebug’s, Plan B goods will be on display at a couple of other booths as well – keep a sharp eye out! Namm hell at present and time away to post is minimal. Thanks again and I look forward to seeing you all at the show! The SN76477N was a TI tone generator chip intended for video games, but, of course, found new life in modules like Blacet’s Dark Star Chaos. Recently, it’s been used in a couple of Thomas Henry designs like the SN-Voice and the Super Controller. Note that these are the “thin body” versions of the chip, some older designs may require an adaptor if they were intended for use with the wide-body version. The Thomas Henry boards have footprints for both sizes.